Multi-view learning is a learning problem that utilizes the various representations of an object to mine valuable knowledge and improve the performance of learning algorithm, and one of the significant directions of multi-view learning is sub-space learning. 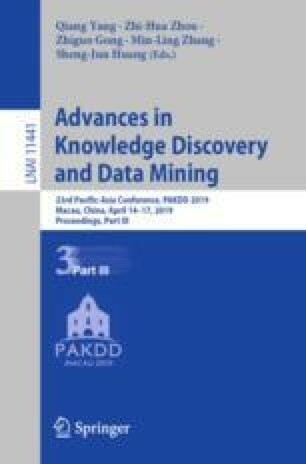 As we known, auto-encoder is a method of deep learning, which can learn the latent feature of raw data by reconstructing the input, and based on this, we propose a novel algorithm called Auto-encoder based Co-training Multi-View Learning (ACMVL), which utilizes both complementarity and consistency and finds a joint latent feature representation of multiple views. The algorithm has two stages, the first is to train auto-encoder of each view, and the second stage is to train a supervised network. Interestingly, the two stages share the weights partly and assist each other by co-training process. According to the experimental result, we can learn a well performed latent feature representation, and auto-encoder of each view has more powerful reconstruction ability than traditional auto-encoder. This work was supported by the National Key R&D Program of China (No. 2016YFC0303703).